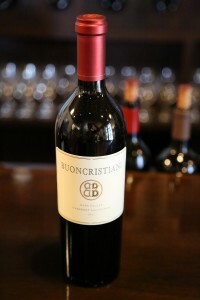 Buoncristiani Family Winery was founded in 1999 by brothers Matt and Jay Buoncristiani – today their other two siblings are actively involved with the winery operations – Nate and Aaron. Their parents (Rob and Mimi) moved the family to Sonoma from the San Jose area where they lived for a very short while soon settling in Napa in 1977. Rob planted a small vineyard in their backyard at their house in Browns Valley (a neighborhood within the Napa city limits). Incidentally this tiny vineyard is still growing, planted to a mix of various red varietals. 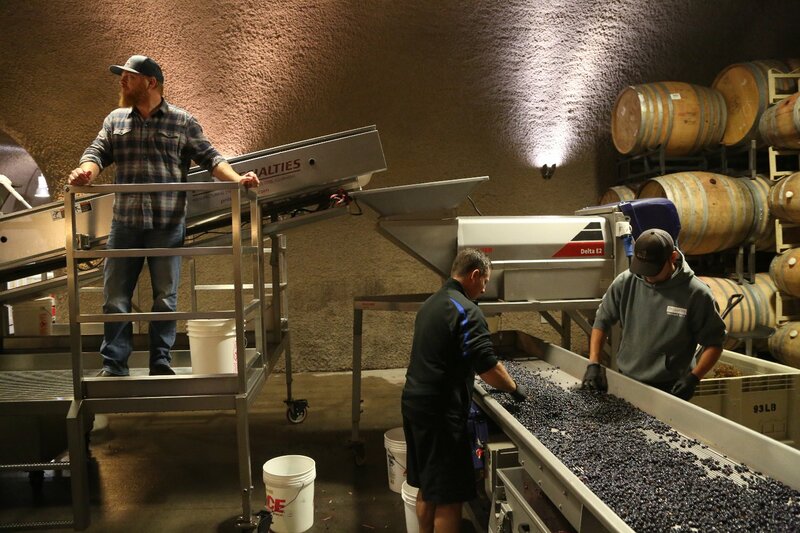 Rob made home wine in their garage – involving a number of friends and neighbors. Matt recalls there was never a shortage of their home wine during the holidays. Rob began to enter the wine in various home wine making competitions – picking up a gold medal at a Sacramento home wine competition for his 1974 Petite Sirah – and entering competitions that are no longer operating including the St. Supery Classic. Eventually his sons started making home wine in their parent’s garage, “to replenish their cellar”, as Matt puts it. 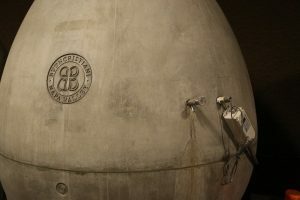 They also entered their wines in a number of competitions, often bringing back medals for their efforts. Friends started noticing an encouraged them to start making wines professionally. The family decided to bond the garage for commercial wine making. 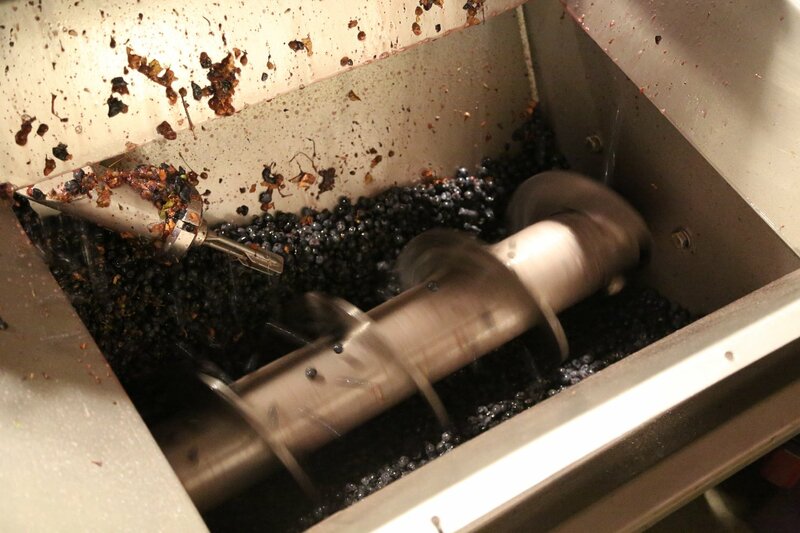 The beginnings of what would be their flagship wine, the O.P.C. was first made in 1996 but not sold as this was still home wine. Their first vintage commercially released was in 1999 – the O.P.C. and a Cabernet Sauvignon. It is rare in Napa for a winery to be owned and operated by four brothers – the only other one we know of in the valley is Piña Napa Valley. Despite all earning non wine related degrees at college, the Buoncristiani brothers all work in the wine business and have extensive wine experience; Matt worked in production at the acclaimed Rudd Estate Winery in Oakville and later was the Cellar Master at Caldwell Winery. 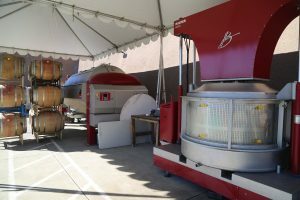 Jay is Buoncristiani’s winemaker and has been winemaker at Hess Collection and continues to offer wine making consultation services in the area, Nate has worked at Caldwell, Rudd, and Black Stallion and Aaron has worked with winemaker Philippe Melka and also continues to make wine in the valley. From just two wines, they now have grown to around 5,000 cases a year producing both wines that are distributed as well as small production wines that are wine club member only wines. Over the years they have changed winery homes several times. 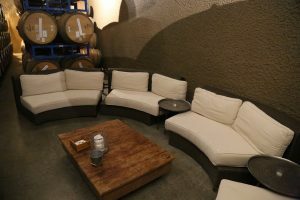 Finally finding a permanent winery home and partnering with three other families – they now make their wine at the Caves at Soda Canyon (about a 20 minute drive north of the city of Napa). The winery operations are completely underground except for the crush pad. While not owning vineyards themselves, they have been able to maximize some of their contacts in Napa Valley to secure premium grapes from top vineyards. Often their vineyard sources are locked up in long term contracts so they have consistency of vineyard sources – and they have control of how the vineyards are managed. During several tastings we have found their wines highly approachable in their youth, balanced and food friendly. These are wines structured to drink now but can also be aged. An unusual wine for a Napa producer is their Dolcetto, not sweet as the name in Italian might indicate, rather a very dry wine wine made from this Italian varietal. O.P.C. is their most produced wine (a red blend). O.P.C is an acronym for Ol’ Pa’s Cuvée named as a tribute to their grandfather on their mother’s side of the family. The 2014 O.P.C. 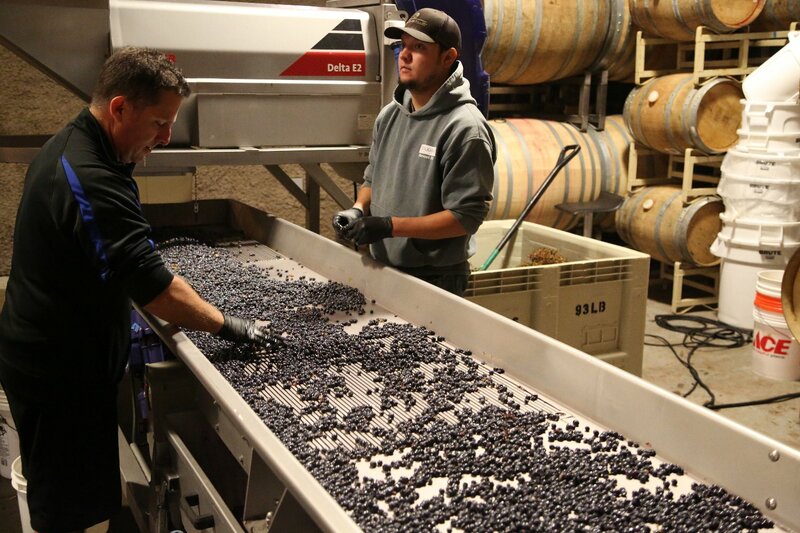 Proprietary Red Wine is a diverse blend of Cabernet Sauvignon, Syrah, Malbec and Merlot from numerous vineyard sites in the valley – including several prominent vineyards (Hyde and Stagecoach). Fruit forward on the bouquet it is very aromatic with a red cherry sweetness at its aromatic core. Shows both red and dark fruits on the palate with excellent acidity. Drinks well young – it is well-balanced with slightly dusty yet fairly polished tannins lasting for some time. There is a brightness or a liveliness on the palate that is certainly appealing. The Triad Blanc is an unusual blend of Sauvignon Blanc, Chardonnay and Viognier. 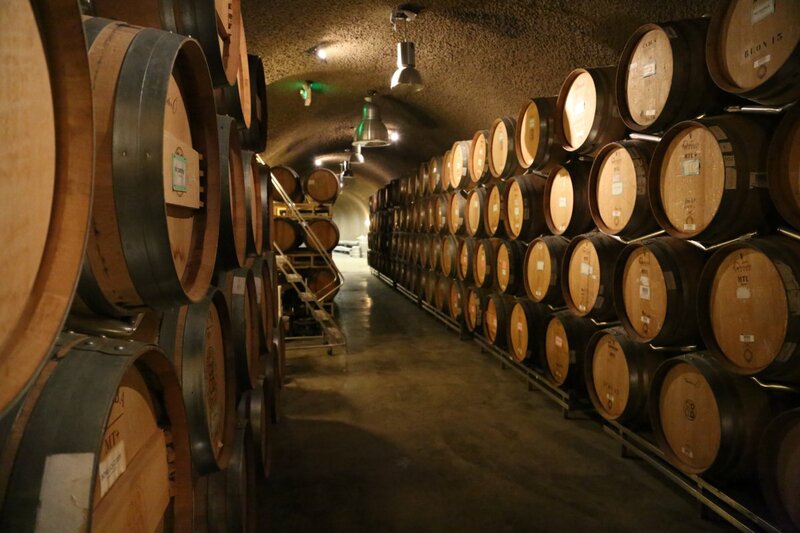 The varietals are fermented in both stainless steel and French oak barrels. 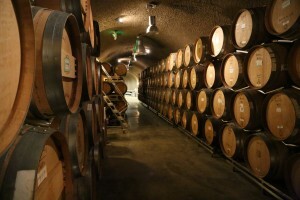 The wines are not put through malolactic fermentation but are aged sur lie for 6 months. The 2015 Triad Blanc shows notes of pineapple, apricot and lemon on the bouquet complemented by tropical floral aromas (the Viognier certainly helps add to the aromatic profile). There is an intriguing ethereal lightness to the palate – the way it feels in the mouth – rounded and creamy but not heavy. With that said this is a richly layered wine with lots of flavor. Hints of citrus show on the lively finish. Over the years Buoncristiani have been highly awarded, rated and recognized by leaders in the wine industry including the Wine Spectator. 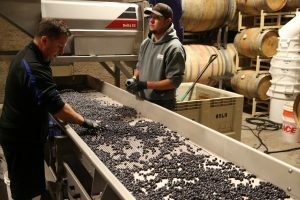 Awards of “Rising Star of Napa Cabernet” and “Top Rhone Range Producer” only help cement their stellar reputation. 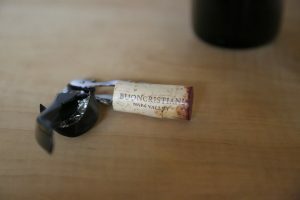 Most people who have tasted their wines in the Napa area are introduced to the brand at the Vintner’s Collective in downtown Napa, a cooperative tasting room featuring premium local and small production wineries. Alternatively, select Buoncristiani wines are available at The Wine Thief, another multi-vintner tasting room near downtown Napa located across from the Oxbow Public Market (great place to pickup lunch or other snacks as you wine taste through downtown Napa). Serious wine enthusiasts can make an appointment with one of the brothers (usually Matt) at the winery – where the tasting and tour is highly personalized and strictly by appointment. Note the labels on the bottle in their Artistico Series – Brother Aaron is the artist and is commissioned for each of these labels. 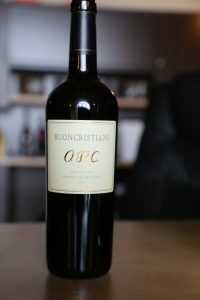 Buoncristiani offers several membership options under their La Famiglia Wine Club – choose from 4, 6 or 12 bottles per shipment (shipped 4x a year). This wine club is highly customized – for instance if you just want reds or only whites, the shipments can be customized to your preferences. Membership also gives you access to library wines dating back to their earliest vintages. Please note we are part owners of http://www.thecavesatsodacanyon.com and that is where the Buoncristiani brand is made, not Caldwell. Thank you for noting! Matt, thanks for the update (I have just corrected that) – I had reached out to… I think it was Kristin at some point last year when I heard you were moving to make an appointment but we never were able to schedule an appointment. This review needs a major update as it was one of my earlier reviews during this project – would you have any time to meet up this month? Thanks for taking the time to meet with me today Matt. Nice to get reacquainted and get this review up to speed.